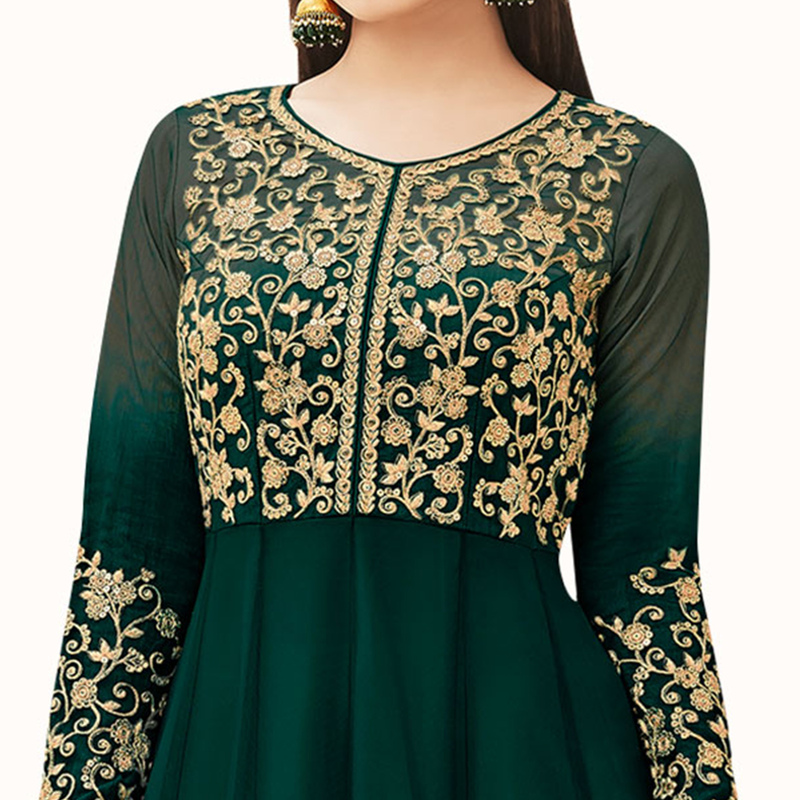 Create your own style let it be unique for yourself and identifiable for others by wearing this blissful dark green colored partywear floor length anarkali suit, showcased by Mouni Roy. 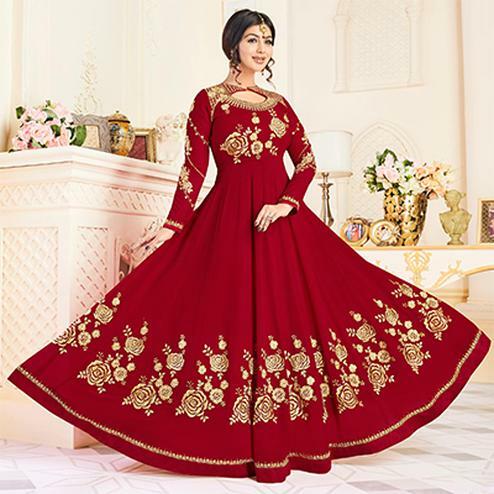 This anarkali suit is made of heavy net fabric that has beautiful embroidery work done on yoke and sleeves cuff and hemline which is eye catching. Comes along with unstitched dull santoon bottom, lining and chiffon lace border dupatta all synchronized well with the latest trend and style. Specially designed to wear for parties, weddings, festivals and family occasions, where you want to be center of attraction. Pair it up with classy accessories and heels to make your look more attractive. 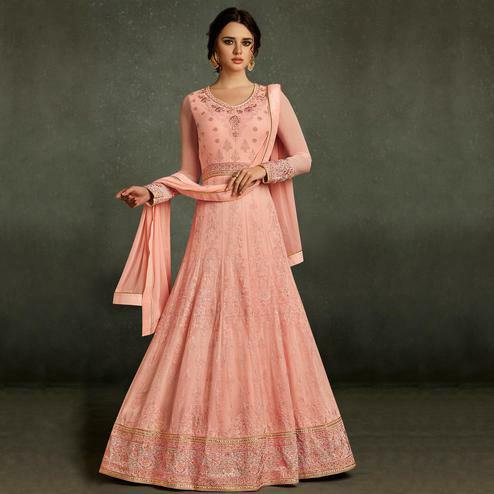 Get this anarkali now before it's gone out of stock. Note:- The actual product may differ slightly in color and design from the one illustrated in the images.